Did you know that enamel is the hardest substance in the body? It’s true! This substance, found on the outer surface of your teeth, truly should last a lifetime. But just because it’s super durable doesn’t mean you don’t have to put in work to take care of it. 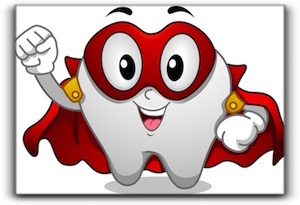 Keeping up with your dental health in Coppell can ensure that your enamel stays super. Here are some beneficial tips for keeping enamel healthy. 1. Pick the Right Foods for Enamel Health. It’s no secret that soft drinks hurt your teeth, but don’t think that diet sodas are harmless. The artificial sweeteners can also erode enamel over time. There are also other culinary culprits that can do a lot of harm. Sticky, chewy candies should be avoided. Chewing ice is a no-no. And don’t use your teeth as tools. Take a minute to grab some scissors before you rip open that package with your incisors. It’s best to brush about an hour after eating, because foods can soften the enamel, especially acidic food. If your teeth are discolored or yellowish, you may feel you need to brush harder. Instead, think about teeth whitening and communicate with your dentist about ways to improve your dental health in Coppell. If you have a problem with severe heartburn, stomach acid could be traveling up your esophagus and into your mouth. This acid can erode enamel, so it is critical to communicate with your local doctor about treatment. Lack of saliva is a major trouble for tooth enamel, and it’s no surprise that teeth grinding can also wear it down. Make sure your dentist is aware if you exhibit either of these issues. At the Lewisville Dentist, we want our patients to have the best dental health in Coppell and enamel health is an essential component. We also love helping our patients attain the dazzling smile they’ve always wanted with cosmetic dentistry procedures such as dental bonding, veneers, invisible braces, tooth colored fillings, and dental implants. Our practice, The Lewisville Dentist, is currently accepting new patients. Give us a call today to make an appointment!